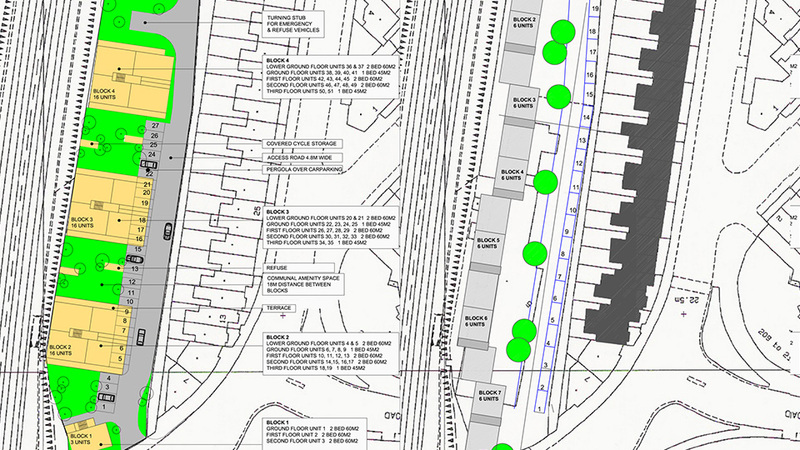 A commercial developer commissioned IPTA to prepare a feasibility study and outline design scheme for 58 new apartments. The challenging narrow site is wedged between a railway line and the rear aspect of a terrace of houses. The proposed scheme fragments the linear nature of the site by placing a number of small residential blocks. Pockets of amenity space between the blocks encourage a level of intimacy.